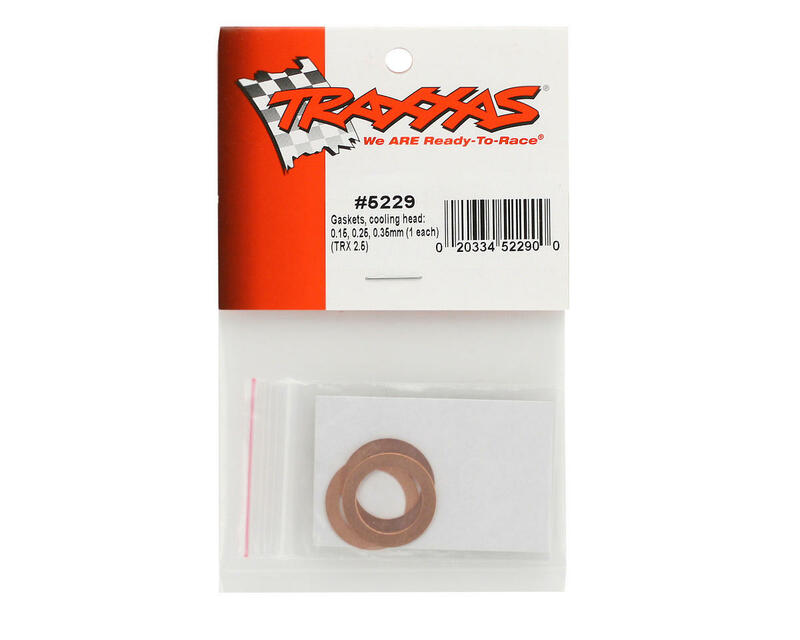 This is a pack of three replacement Traxxas Cooling Head Gaskets. 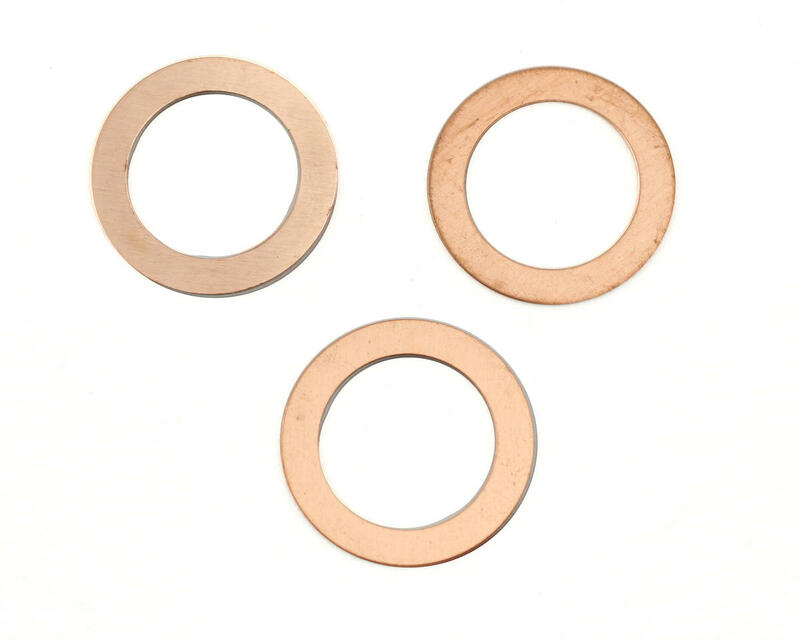 This set includes one 0.15mm, one 0.25 and one 0.35mm gasket. The head shim is the thin circular piece that goes between the head button and the top of the cylinder sleeve and can be used to adjust and fine tune the compression (deck height) of the engine. In general the higher the nitro percentage of the fuel you run, the more head shims you should put in your engine. Please consult the instructions that came with your engine for details about how much your engine should be shimmed!